The interlacing hutongs and siheyuans scattered throughout Beijing are one of the most recognizable features of the capital. The gray pathways provide an insight into the lifestyle of locals today and centuries prior, appealing to tourists and oldtimers alike with their unique charm. 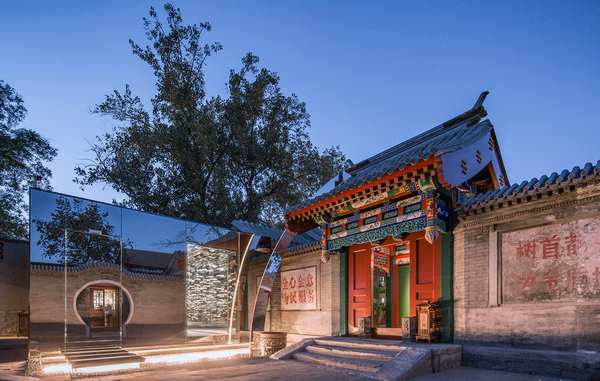 Now, the Dongsi Hutong Museum hopes to capture that magic and teach visitors about the way of hutong life through art installations, interactive presentations, and snapshots into the past. Dongsi itself is a fitting location given that it’s an area tic-tac-toed with lanes that stretch out and connect hundreds of small alleys in the heart of Beijing. 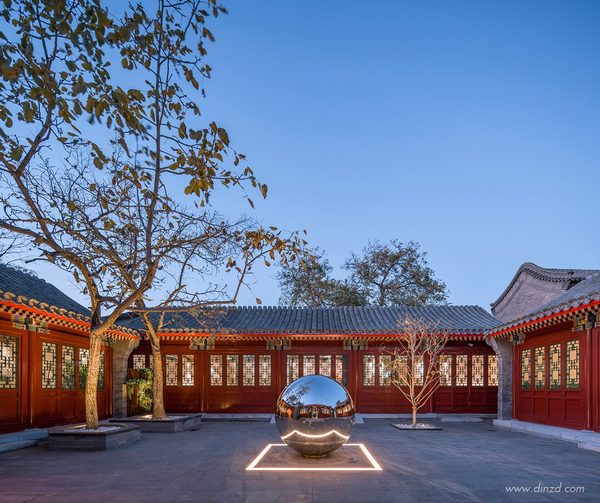 It took three years for the Chitu Public Art Center to design and renovate the former weather-beaten siheyuan into a museum, which consists of five exhibition areas and exhibits spanning the centuries-long history and culture flourished at Dongsi area. 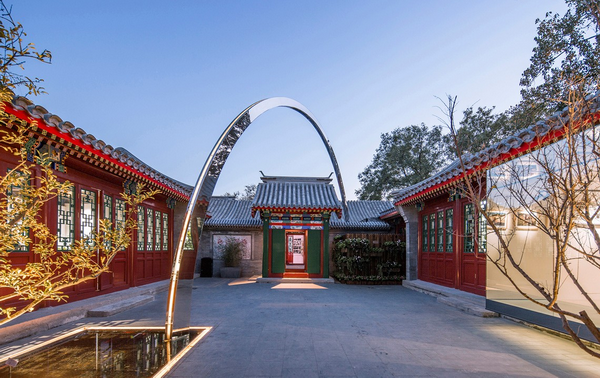 After entering the yard, visitors are greeted by a second gate, an indispensable part of siheyuan, which acts as a divider between the outer and inner courtyards as well as beautifying the complex. The striking red color has been achieved by mixing the paint the traditional way, namely, a mixture of pig blood and abrasin oil. The exhibition area to the left of the yard features old photos of streetscapes and scenes of daily life in the surrounding neighborhood. 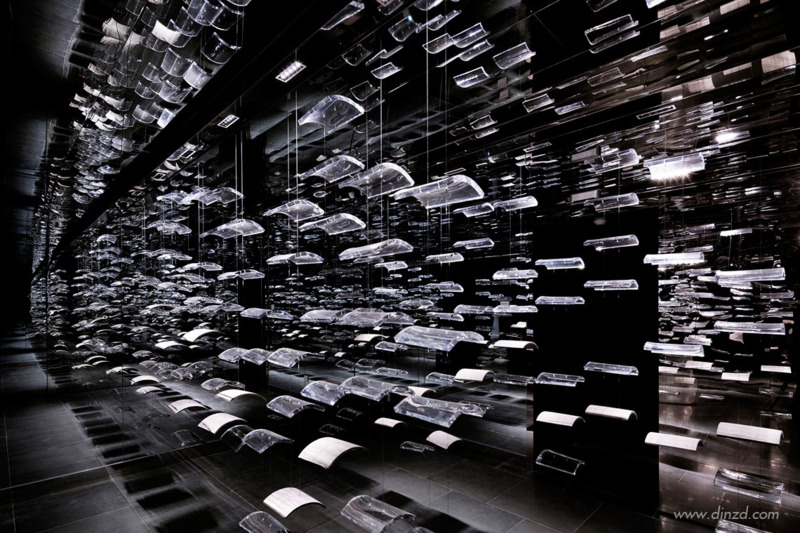 Those looking for Instagram-friendly photos will find plenty of fodder in the room hiding behind the glass wall; an exhibition of eaves tiles that are made from traditional and modern materials – one of the museum’s ingenious installations that sets it apart from some of its stuffier counterparts. 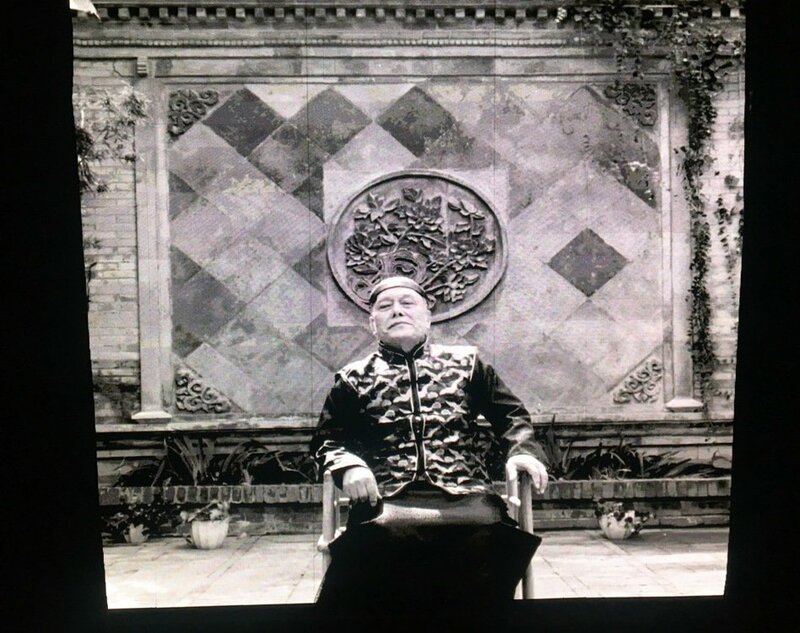 There are also short videos that explain some of Beijing’s century-old brands, traditional local foods, and daily life, as well as four black and white videos with actors dressed in authentic historical garb who explain things such as how one would greet people with different social statuses during the Qing dynasty (1644-1912). Another highlight of the exhibition is the collection of old daily items donated by residents living nearby, including big vats for keeping fish and lotuses, gate piers, tiles, and old chests, providing an insight into daily life in the hutong. Additionally, there are intricate models of old streets and courtyards to help visitors get a closer look at the architecture and learn about the many famous residences nearby. Who says learning doesn’t have to look great? According to official records, there were just over 6,000 of these narrow hutongs in Beijing in the late 1980s. Since then, they’ve witnessed rapid demolition and reconfiguration, imbuing the approximately 1,000 hutongs left with a fair dose of nostalgia, especially for those who grew up within their warren-like grasp. Such figures make museums like this one all the more important in remembering the beauty of the past before it’s too late. Looking for more hutong history? Try the Shijia Hutong Museum. This post first appeared on our sister site, the Beijinger.